The Bahamas became an independent Commonwealth realm on July 10, 1973. The Bahamas is a parliamentary constitutional monarchy headed by Queen Elizabeth II in her role as Queen of the Bahamas. This singular event in Bahamian history played a significant role in shaping the modern Bahamas we experience today. The significant events leading up and emanating from Majority Rule must become permanently etched in the Bahamian historical landscape as these events define us as a people, reveal what we believe in as Bahamians, and serve as a constant reminder of our vision and values. Following is a cursory account of the significant events surrounding and leading up to Majority Rule, the meaning of Majority Rule, and homage will be duly paid to the freedom fighters that fought this epic battle in the name of freedom and justice. Many local political historians believe that June 1, 1942 marked the beginning of the modern political history of the Bahamas. The events of the Burma Road Riots came as a result of the agitation by labourers for equal pay for equal work, regardless of colour or nationality. As you know, a satellite airfield was being constructed in western New Providence for use by the American armed forces. A labour dispute ensued over equal pay and this dispute took on a life of its own and became intimately interwoven with the overall movement for freedom and social justice. Today that site is the Lynden Pindling International Airport. So it is clear that from the first stirrings of political activity in the country, labour has been an integral part of the struggle. The Movement really started with a conversation between Mrs. Mary Ingraham and her husband following his defeat in the 1949 general elections. The defeated candidate opined that his political fortunes could have been very different had women voted in that election. Other significant national events that fueled the Suffrage Movement were the Burma Road Riots of 1942, the General Strike of 1958, and the Labour Movement of the 1950s. The civil rights movement in the United States with Dr. Martin Luther King was an international event that also fanned the flames that burned for social justice and equality in The Bahamas Mary Ingraham formed alliances with kindred spirits from across the political divide as Bahamian women and men worked tirelessly together to fight racial, political and economic injustice in The Bahamas. This alliance included freedom fighters such as Georgiana Symonette, Eugenia Lockhart, Althea Mortimer, Albertha M. Isaacs, Doris Johnson, Grace Wilson, Mildred Moxey, Ethel Kemp, Gladys Bailey, Una Prosper Heastie, Veronica Lotmore, Nora Hannah and Madge Brown Mary Ingraham was elected as President of the Suffrage Movement in 1957. Georgiana Symonette was the Vice-president and Eugenia Lockhart was the Treasurer. In 1958, Dr. Doris Johnson returned home from studying abroad and joined the Suffrage Movement. During the years 1959 and 1960, the Movement gained considerable ground advancing petitions and demonstrating publicly for the right to vote. In November 1960, Eugenia Lockhart and Dr. Doris Johnson accompanied Henry M. Taylor, Chairman of the PLP, to London to present a Petition to the Secretary of State for the Colonies. In January 1961 a Select Committee of the House of Assembly gave a Report in favour of the right to vote for women but with effect from January 1963. The PLP and the Independents in the House of Assembly opposed the report. An appeal was made to the House of Commons in England again. On February 23, 1961 a Bill to enable women to vote was enacted with effect from June 30, 1962. Bahamian women voted for the first time on November 26, 1962. The PLP was born out of a movement that embodied the hopes, aspirations, and feelings of a generation of Bahamians who were demanding equal work, majority rule, and freedom to pursue any hopes and wishes they dared conceive. The man who generally credited with conceiving the Progressive Liberal Party was William Cartwright, a publisher, real estate broker, and Member of the House of Assembly for Cat Island. In August of 1953, Mr. Cartwright reportedly invited to the first meeting on Bay and Frederick Streets, the following men: The Hon. Charles Rodriquez, Mr. Henry Milton Taylor, Mr. Cyril Saint John Stevenson, Mr. Samuel Carey, Mr. Holly Brown, Mr. Clement Pinder, Mr. F.W. Russell and others. Many black businessmen and lawyers were invited to join, but for reasons of their own, decided not to be identified with the new movement. But the party’s course was clear from the beginning; the PLP was designed to represent all that was opposed to unfair privilege and the wealth and power this afforded the Bay Street Boys. In support of 1957’s protests, a 16-day General Strike brought Nassau to a screeching halt. Unionized or not, just about every worker participated, and the strike was quite peaceful. The result was the Trade Union and Industrial Conciliation Act and the setting up of a Labor Department. The General Strike took place in January 1958. Later that year in June, Allan Lennox Boyd, Secretary of State for the Colonies ordered that the first constitutional steps be taken toward Majority Rule. The voting franchise was extended to all males whether they were land owners or not; the once ubiquitous unlimited plural vote was ordered to be reduced to two and the abolition of the company vote was ordered. In November of 1960 Sir Henry Taylor led a delegation to London to champion the right of women to vote in The Bahamas. Accompanying Sir Henry were notables like Dame Doris Johnson and Eugenia Lockhart. Shortly after their return, women received their right to vote and exercised those rights during the November 26, 1962 general elections. This new women’s right brought a force and element into the history of The Bahamas that affected the country’s social, economic and political development. To this day, the effect of women exercising their right to vote has impacted all aspects of national life as women from all sides of the political divide have, and continue to make their contribution to the country, holding key positions in many offices throughout our country. On this day, the governing United Bahamian Party sought the approval for a Boundaries Draft Order, which established the boundaries for the various constituencies of New Providence and the Family Islands, under the provisions of the 1964 Constitution. During a sitting of the House of Assembly, the PLP proposed two amendments to the revision of the Boundaries Draft Order which the UBP had presented. The amendments were designed to get a fairer idea of the number of voters and their distribution, but both proposed amendments were rejected. With that he raised the mace and hurled it through the open window of the House of Assembly. The Progressive Liberal Party describes this event as “an act of deviance in the pursuit of liberty and fairness.” So Tuesday 27, April 1965 was destined to go down in Bahamian history as Black Tuesday. Some have argued that the great significance of Majority Rule was that after years of struggle by many freedom and justice loving people, the back of the old oligarchy was finally broken. More importantly, Majority Rule presented the opportunity for real democracy to come to the Bahamas, underpinned by equality, tolerance, economic justice, social justice, all important elements in the creation of a free, modern, democratic state. All Bahamians benefited, in one way or another, from the historic event that took place on January 10, 1967, a day that now wears the rather inelegant appellation of Majority Rule Day. Majority Rule ushered in the opportunity for all Bahamians to have constitutional, political, social, cultural and economic rights. Where these rights were not readily accessible, the Government of the day created laws and implemented policies to enable these entitlements. January 10th is a day in the national calendar that belongs to all Bahamians – not just PLP’s but to all Bahamians, black and white, rich and poor, young and old, city dweller and Family Islander, and, yes, PLP and FNM alike. January 10th needs to be commemorated and celebrated by all of us because it represents one of the truly great and defining moments in our evolution as a people. With the exception of Emancipation from Slavery in 1834 and the attainment of Independence in 1973, there is no event of more consequence and historical importance than the attainment of Majority Rule on January 10th, 1967. January 10th, 1967 represents the transition from the old Bahamas to a New Bahamas; the point of transition from minority government to Majority Rule; the point of transition to a modern democracy. It also represents, however, one of the highest pinnacles in the historic – and still ongoing – struggle of the Bahamian people for economic empowerment, for equality of opportunity, and for social justice. January 10th, 1967, to be sure, was neither an end nor even a beginning. Instead, it was an important milestone in a journey that was begun centuries ago when some anonymous slave struck a blow for freedom for the first time. Lynden Pindling, Preston Albury, Clarence Bain, Milo Butler, Clifford Darling, Elwood Donaldson, Arthur Foulkes, Carlton Francis, Arthur Hanna, Warren Levarity, Curtis MacMillan, Uriah McPhee, Maurice Moore, Edmund Moxey, Jimmy Shepherd, George Thompson, Jeffrey Thompson and Cecil Wallace Whitfield. Randol Fawkes who successfully ran as Labour in 1962 and 1967 with the support of the PLP threw his support behind the PLP and became a member of the first Majority Rule cabinet. He figured prominently in the movement toward Majority Rule. Successful Independent candidate Sir Alvin Braynen threw in his lot with the PLP and accepted the post of Speaker of the House. This distinguished group consisted of Cecil Wallace-Whitfield, Milo Butler, Arthur Hanna, Clarence Bain, Jeffrey Thompson, Carlton Francis, Randol Fawkes, Warren Levarity, Curtis McMillan, Clement T. Maynard and Lynden Pindling. In this 40th year of nationhood, we come together as one people to mark a critically important milestone in our progress as a people – and to re-commit ourselves to a struggle that never ends. As The Bahamas looks to the future, it must be that the average man, making the average salary, with children to educate to university level; that they see not a glass ceiling but opportunities that give rise to hope as we work to build the best little country in the world. 1. In December 1972 The Government headed by Prime Minister the Rt. Hon. Lynden Pindling and the Opposition headed by Sir Kendal Isaacs led a delegation to London to discuss the Independence Constitution. 2. The surviving framers of the Constitution of the Bahamas’ constitution are: Sir Arthur Foulkes, The Honorable Arthur D. Hanna, Sir Orville Turnquest, The Honorable A. Loftus Roker, George A. Smith and The Honorable Philip M. Bethel. Deceased signatories included Sir Lynden Pindling, Sir Milo Butler, The Honorable Paul L. Adderley Sir Clement Maynard, The Honorable Carlton E. Francis, Sir Kendal Isaacs, The Honorable Cadwell C. Armbrister, The Honorable Henry J. Bowen and The Honorable Norman S. Solomon. 3. On April 2, 1973, the Minister of Home Affairs, the Hon. R.F. Anthony Roberts, announced in the House of Assembly that the Bahamas had a new flag. 4. March On, Bahamaland is the national anthem of the Bahamas. It was composed by Timothy Gibson and adopted in 1973. 5. The Police Band’s album titled “March on Bahamaland” contains the first recording ever of the Bahamas National Anthem. This album was produced in 1973 at the Ace recording Studios in Miami, Florida. 6. The Pledge of Allegiance was written by Rev Dr. Phillip Rahming. 7. There was a national competition to produce the motto for the coat of arms, and the competition was won by two 11-year-old school children – Vivian F. Moultrie of Inagua Public School and Melvern B. Bowe of the Government High School in Nassau. 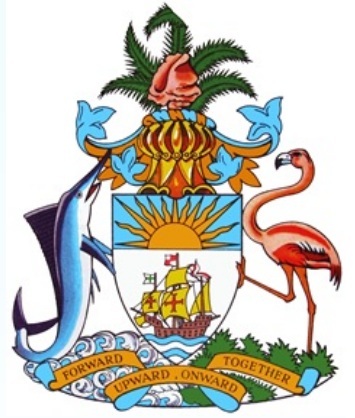 Bahamian artist Hervis Bain prepared the preliminary design of the coat of arms. 8. God Bless Our Sunny Clime is the national song of the Bahamas. It was written by Rev. Dr. Phillip Rahming and composed by the late Timothy Gibson and the late Clement Bethel. 9. The Bahamas sent its first delegation to the Carifta games in May 1973. 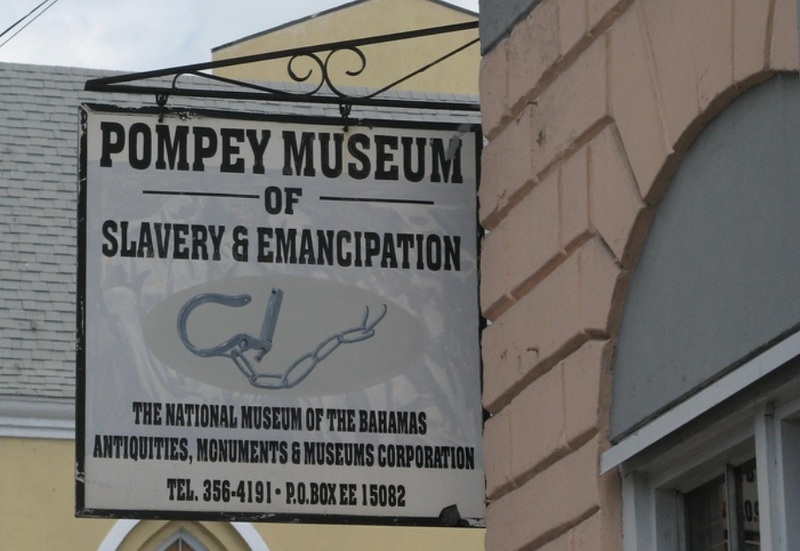 10.The new Bahamian Museum at Jumbey Village, which was funded by the students and teachers of the Bahamas, was dedicated to the Nation on May 6, 1973. 11.Bahamasair began operations on June 7, 1973. 12.On June 20, 1973 the Hon. Carlton E. Francis Minister of Development, signed an order establishing the Industrial Park. 13.The Bahamas Independence Secretariat was responsible for the Independence celebrations of 1973. The chairman was The Honorable George Smith, who was the Parliamentary Secretary in the Office of the Prime Minister. He was assisted by Harold A. Munnings who was the Co-ordinator. 14.The Independence celebrations also had an Advisory Council. The Rt. Honorable Lynden Pindling was the Chairman. 15.Many talented Bahamians were given the chance to head committees for the Independence Celebrations. These included Clement Bethel for Folklore and Music, Hervis Bain, Patrick Rahming and James Rolle for Arts and Crafts, Bishop Michael Eldon for Poetry, Essay and Drama, Horace Wright for the Float Parade and Gus Cooper for Track and Field. 16.The government of The Bahamas spent some $2,000,000 on independence celebrations. 17.South Andros was the first Island visited by The Rt. Honorable Lynden Pindling on his Island hopping Independence Tour. 18.There was an Independence Basketball tournament June 29-July 5 held at C I Gibson Gym. 19.From July 8 to 14 a National Arts and Crafts Exhibition was held at Jumbey Village. James Rolle served as the Chairman and Hervis Bain was the Co-Chairman of this event. Following this “Jumbey 73”, a National Festival of arts was also held at the Village. 20.The theme of the Independence Regatta was either scenes from Bahamian History or a scene depicting the spirit of Independence. Horace Wright served as the chairman of this event. The Independence Regatta was held July 5-7 in New Providence. 21.Dignitaries from 52 countries attended a formal reception at Government House on July 8, 1973. This dinner was hosted by Prince Charles. 22.The United States President’s Special Representatives at the Independence Celebrations were Mr. and Mrs. Stanley Scott. 23.The Rev Dr. R.E. Cooper delivered the sermon at the Independence National Day of Prayer and Ecumenical Service on July 8, 1973. 24.Prince Charles laid the cornerstone of the Central Bank on July 9, 1973. 25.On the evening of July 9, 1973, a musical and cultural display entitled “Pages from Bahamian History” was held at Clifford Park. It portrayed Bahamian Heritage through dance and music. The show was coordinated and directed by Winston Saunders and Clement Bethel was its artistic and musical director. 26.The Police Force held a display and Flag raising ceremony on the evening of July 9 at Clifford Park. Members of the Force marched and did routines enhanced by music. The musical Director of was Supt. Dennis Morgan. 27.One minute to midnight on July 9 the Union Jack was lowered for the last time as the official flag of The Bahamas. 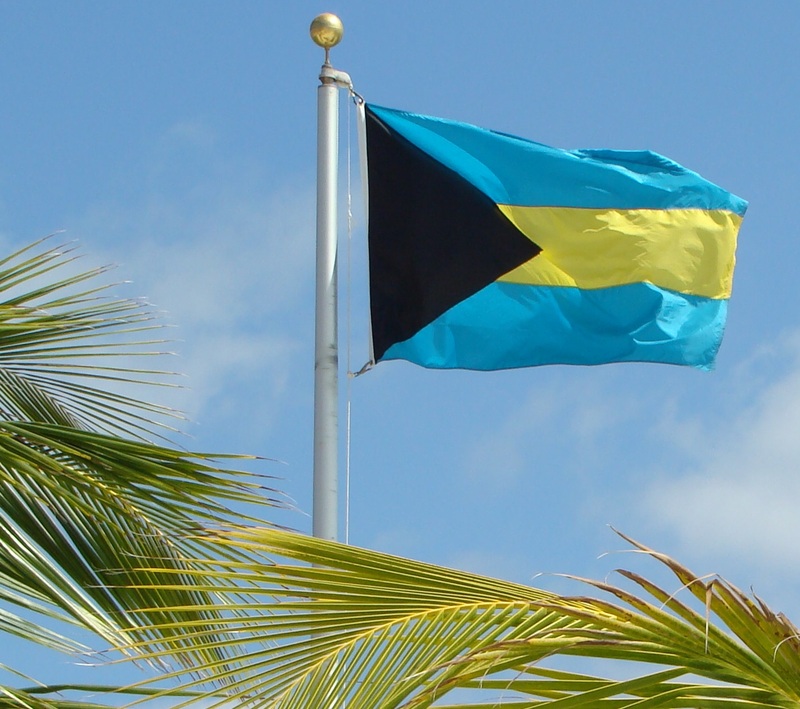 One minute after midnight on 10 July a crowd of 50,000 saw the black, turquoise and gold flag of the Bahamas being raised instead of the Union Jack. 28.All Civic, Cultural and Labor organizations within the Bahamas marched in a parade on July 10. The chairman of this event was Rudolph Moultrie. 29.As the Queen’s representative, Prince Charles read a personal message from Her Majesty on Independence Day, July 10, 1973. 31.The Independence Fashion Show held on July 14, 1973 was the first evening function of the Independence celebrations. 32.Delta Airlines presented a monument as a gift to the Bahamas. The Monument was placed at the entrance to the newly opened Nassau Botanical Gardens. It is constructed of granite, weighs 4,300 pounds and bears the Bahamas Coat of Arms and Motto. 33.Salathiel Thompson was appointed the first Bahamian Commissioner of Police in the Commonwealth of The Bahamas on June 1, 1973. He succeeded Mr. John H. Hinmarsh of Britain. 34.Sir Milo B. Butler became the first Bahamian Governor General on August 1, 1973. 35.Sir Leonard Knowles became the first Bahamian Chief Justice in 1973. 36.The late Dame Dr. Doris Johnson was the first woman to be elected President of the Senate. 37.In July, 1973 the Bahamas applied for membership in the United Nations and in September of that year was admitted as the 138th member. 38.Livingston B. Johnson was appointed as the first Ambassador of The Bahamas to the United States and to the United Nations. 39.A political party named The Abaco Independence Movement (AIM) was formed in August 1973. Its goal was to seek self-determination for Abaco within a federal Bahamas. 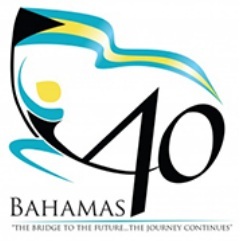 40.The Bahamas Hotel Training College (BHTC) was established in 1973, it commenced student enrolment in 1974 for diploma programs. • (1647) English, Bermudan religious refugees established first European settlement in Bahamas. • (1695) The City of Charles Towne was established on New Providence in honour of King Charles II, later renamed Nassau in honour of King William III, formerly Prince of Orange-Nassau. • (1697) Fort Nassau was built on the site currently occupied bythe British Colonial Hilton Hotel on Bay Street. • (1717) Bahamas became British crown colony and Captain Woodes Rogers was named first Royal Governor. 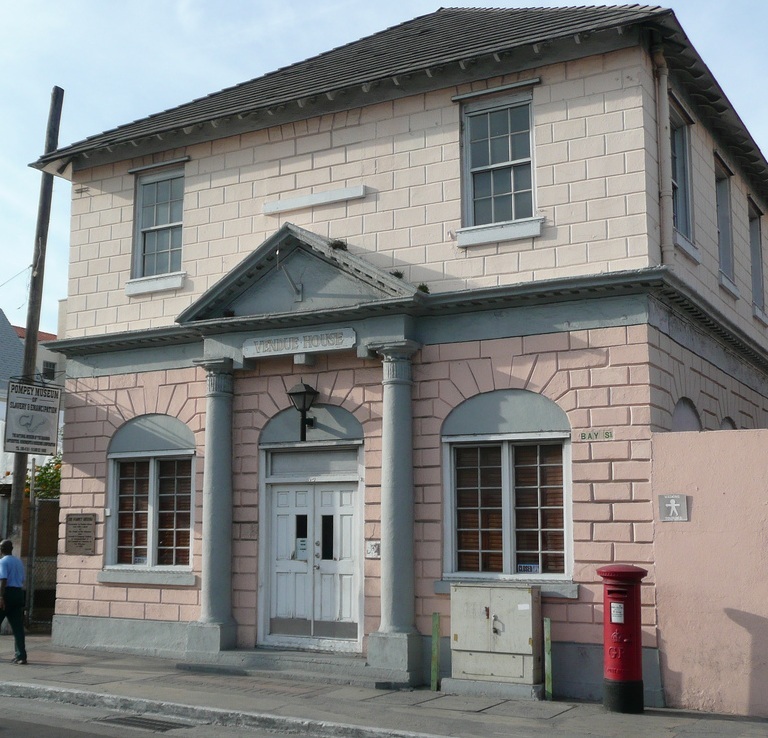 • (1729) The Bahamas House of Assembly officially meets for the first time. • (1741) Construction began on Fort Montagu at the eastern entrance of Nassau Harbour. • (1742) Construction of Fort Montagu completed. • (1776) Bahamas invaded as 8 American Colonial warships captured Forts Nassau and Montagu. • (1783) In Treaty of Paris, Spain ceded Bahamas to Britain. • (1789) Main portion of Fort Charlotte overlooking the west entrance to Nassau Harbour completed. • (1793) Fort Fincastle was constructed in New Providence. • (1838) Slavery in the British Empire was fully abolished. • (1861-65) American Civil War brought great wealth to Nassau, a major supply base for the confederacy. Nassau’s first resort, the Royal Victoria Hotel was constructed. • (1892) First submarine telegraph cable laid betrween Cable Beach in Nassau and Jupiter Florida. 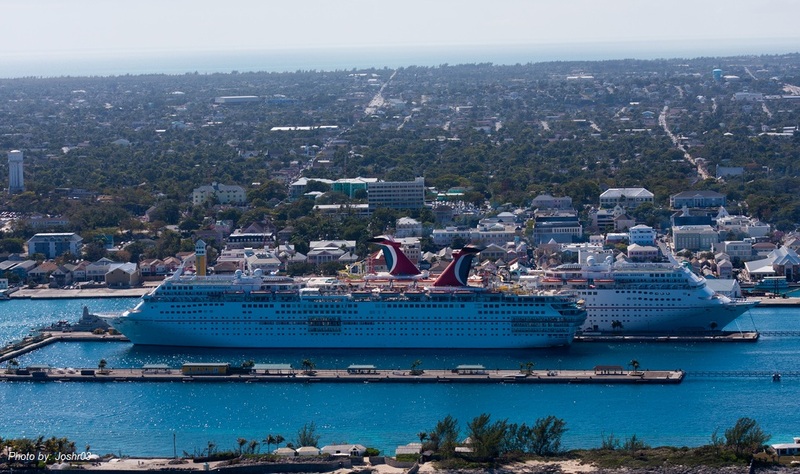 • (1898) The Hotel and Steam Ship Service Act established Nassau as a winter tourism destination. • (1914) John Ernest Williamson shot the first undersea motion picture in The Bahamas. • (1920) The US prohibition brought another economic boom to The Bahamas where liquor was plentiful and legal. • (1930’s) Ernest Hemingway, Zane Grey and John Steinbeck lived and worked in The Bahamas. • (1940) An Agreement between the UK and US resulted in the establishment of bases in Grand Bahama, Eleuthera, San Salvador and Mayaguana. • (1940-45) Duke of Windsor served as governor of Bahamas. This boosted tourism. • (1942-45) Nassau became the Royal Airforce Training Base and western bastion of an ‘air bridge’ to ferry aircraft to war zones. • 1943-65) Called “The Contract,” more 30,000 Bahamians became migrant farm workers in the US. • (1955) The Hawksbill Creek Agreement established Freeport as free trade area, stimulated tourism, and attracted offshore banking. • (1957) The Suffrogettes became official as Mary Ingraham was voted as the president. • (1958) The general strike took place in protest against inequality of Bahamian workers. • (1962) Universal Suffrage granted as Bahamian women voted for the first time. • (1965) Black Tuesday as Sir Lynden threw Mace out of the window of Parliament in protest of gerrymandering. • (1967) Mjority Rule Day as Lynden Pindling became prime minister; Centrist Progressive Liberal Party(PLP) won by a mjority of one and governed for 25 consecutive years. • (1973) Bahamas became independent. Sir Milo B. Butler became first Bahamian Governor General. • (1986) Tourism expenditure topped the $1 billion mark for the first time in history. • (1990) The era of the mega resorts is ushered in with the opening of the Crystal Palace Resort. • (1995) Atlantis Resorts officially opens as Nassau celebrated its tricentennial. (Renamed on 12th April 1695). • The Bahamas won a silver medal in the women’s 4×100 relay in the Atlanta olympic games. • (1997) The Honorable Rome Italia Johnson became first female speaker of the House. Container Port opens in Freeport at a cost of $78 million. • (1998) Hurricane George killed one; Atlantis resort scheduled to be completed on Paradise Island; two convicted murderers hanged. 1,202 room Royal Towers at Atlantis and 100,000 entertainment complex officially opens. • (1999) Securities Industry Act came into effect, paving the way for BISX. In Sept, Hurricane Floyd hit The Bahamas causing severe damage. • (2000) Sir Lynden Pindling, former prime minister, known as “Father of the nation” died; Sir Randol Fawkes, father of the labour movement also died. The women’s 4×100 meter relay team won gold at the Sydney, Australia olympic games. • (2001) R&B singer, actress Aaliyah killed in small plane crash in Bahamas; Dame Ivy Dumont became Bahama’s first woman governor-general; and the IRS qualified The Bahamas as a qualified jurisdiction for trade in securities. • (2002) Opposition Liberal Progressive Party, led by the Rt. Hon. Perry Christie, won Parliamentary elections. • (2003) Sir Gerald Cash, second longest serving Governor General died. • (2004) Hurricane Jeane and Frances hit causing widespread damage; Tonique Williams-Darling won gold in the women’s 400 m and Debbie Ferguson-McKenzie won bronze in the women’s 200 m at the Athens Greece olympic games. • (2005) The government of the People’s Republic of China donates $30 million towards the construction of a new national stadium; Wendy Craig becomes first female governor of the Central Bank. • (2006) Final appeals court ruled mandatory death sentence for murder breached the Bahamian constitution; Canadian Janyne Hodder appointed president of the College of The Bahamas; Governor General Ivy Dumont retired and Arthur Hanna was sworn in as Governor General; Nassau International Airport renamed Lynden Pindling International Airport. • (2007) Former Prime Minister Hubert Ingraham’s Free National Movement won parliamentary elections; Bahamas ratified the Comprehensive Nuclear Test Ban Treaty. • (2008) The Billion dollar Albany project approved; Nassau Beach hotel closed for Baha Mar expansion; Harrah’s Entertainment severs contractual ties with the project. • (2009) Bahamas Senator Pleasant Bridgewater accused of trying to extort money from actor John Travolta after his son’s death; Bahamian paramedic charged in alleged scheme to extort $25 million from John Travolta after son died of seizure. Charges were eventually dropped. Sir Sidney Poitier awarded the Presidential Medal Of Honor by President Barak Obama. Sir Clement T. Maynard, former minister of Tourism died. Also Roger Carron, renown artist Amos Ferguson and Beryl Hanna, wife of A.D. Hanna died. • (2010) Fugitive Colton Harris-Moore (Barefoot Bandit) crashed landed stolen plane on Great Abaco Island; Colton was eventually arrested and deported to US. Bahamas under tsunami watch after 7.0 earthquake struck Haiti; Exuma’s Emerald Bay sold to Sandals; Philantropist Betty Kelly Kenning died at 85; Bahamas removed from the OECD’s “Grey list;” Sir Arthur Foulkes was sworn in as the eight Governor General of The Bahamas; $2.6 billion contract between Baha Mar Resorts and the Export-Import Bank of China signed; the project promised to create up to 11,000 jobs and add $1 billion to the economy in its first year. Bahamian tennis star Mark Knowles became only the fifth player in the ATP tour to win 700 games. Lady Edith Turnquest, wife of former governor general Orville Turnquest died. Pauline Davis-Thompson became the first Bahamas’ first individual gold medallist in track when she was awarded the gold in the women’s 200 meters after Marion Jones was stripped following a positive test for a banned substance. • (2011) Dr. Betsy Vogel-Boze was named president of COB. Parliament approved Baha Mar Heads of Agreement; The Bett K Agencies Ltd. destroyed by fire; first COB President, Dr. Keva Bethel died at 75; Parliament passed the sale of 51% of BTC shares to Cable and Wireless by a vote of 22 to 18; Branville McCartney launches new political party, the Democratic National Alliance; Cultural icon Jackson Burnside died at 62; The new Thomas A. Robinson National Stadium, a gift from the Peoples’ Republic of China is handed over to the Bahamas government; Government bans commercial shark fishing; Category 3 Hurricane Irene hits The Bahamas; The Bahamas and the Republic of Cuba signs a maritime borders agreement after 40 years of negotiations; The Pompey Museum and temporary straw market destroyed by fire; new downtown straw market opened; former Governor General Sir Clifford Darling died at 89. • (2012) Rt. Hon. Perry Christie became Prime Minister after PLP won 29 of 38 seats in the general elections held on May 7; Former Prime Minister the Rt. Hon. Hubert Ingraham retires from the House; Atlantis Resort transferred ownership to Brookfield Asset Management; New $30 million Thomas A. Robinson Nationalk Stadium officially opened; Prince Harry visits The Bahamas for 3 days as part of Queen Elizabeth II Diamond Jubilee celebrations; Super Value acquires City Market supermarket chain; Last surviving co-founder of the PLP William “Bill” Cartwright died at 89; longest serving Attorney General Paul Adderly died; former Youth and Sports Minister Charles Maynard died; Sports icon Thomas Augustus Robinson died; former MP and Senator Bruce Braynen died; First laproscopic nephrectomy performed at Doctor’s Hospital; Team Bahamas wins gold in the men’s 4×400 meters relay at the London Olympics; Joint sitting of Parliament to commemorate the 50 anniversary of the Women’s Suffrage Movement and their right to vote. and later Dr. Bethel was replaced by Dr. Tracey Thompson; 42nd Carifta Games held in The Bahamas for the second time at the National Stadium – Bahamas placed second behind Jamaica with 31 medals; The inaugural Chris Brown Bahamas Invitational Track and Field Classic was held at the National Stadium; first ever College of The Bahamas track and field classic was held at the old stadium; the passing of former longest serving Commissioner of Police Bernard Kenneth Bonamy; aviation accident in Mayaguana during a medical emergency pickup which claimed the lives of three persons. There are rules on how to use the flag for certain events. For a funeral the National Flag should be draped over the coffin covering the top completely but not covering the bearers. The black triangle on the flag should be placed over the head of the deceased in the coffin. The flag will remain on the coffin throughout the whole service and removed right before lowered into the grave. Upon removal of the flag it should be folded with dignity and put away. The black triangle should never be displayed pointing upwards or from the viewer’s right. This would be a sign of distress. 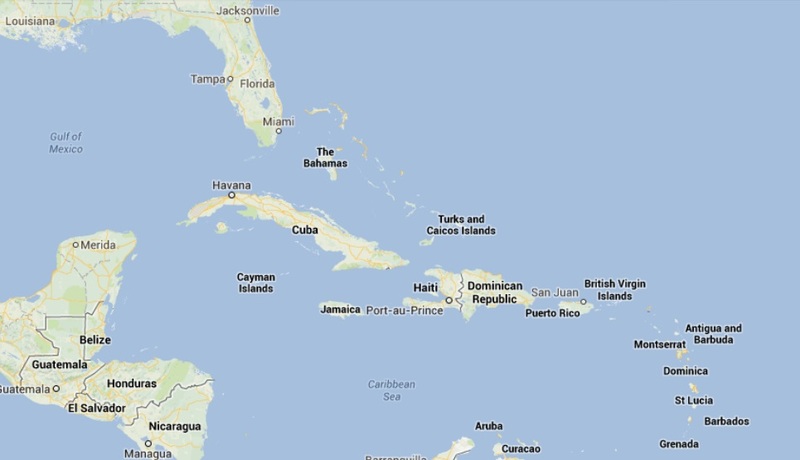 The Bahamas extends 760 miles from the coast of Florida on the north-west almost to Haiti on the south-east. 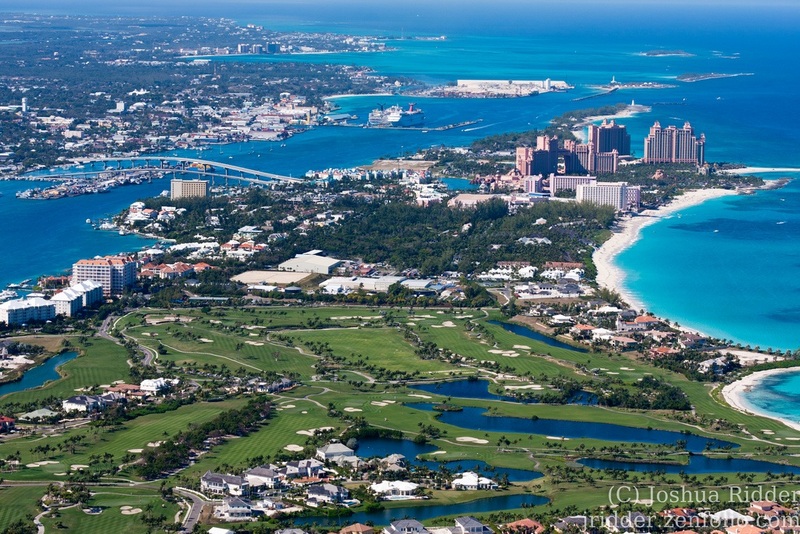 The group consists of 700 islands and 2,400 cays with an area of 5,358 sq. miles (13,878 sq. km.). Thirty of the islands are inhabited. 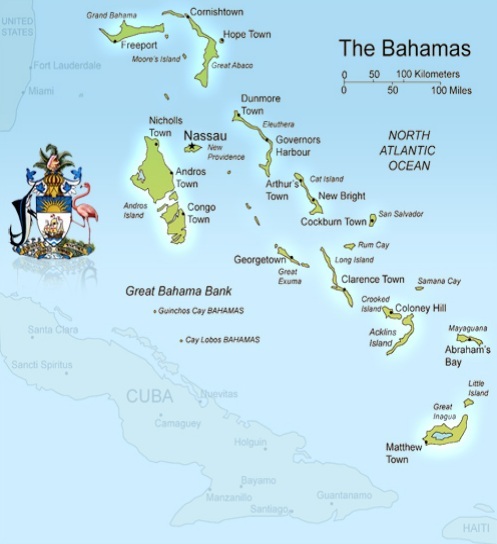 The principal islands include Abaco, Acklins, Andros, Berry Islands, Bimini, Cat Island, Crooked Island, Eleuthera, Exuma, Grand Bahama, Harbour Island, Inagua, Long Island, Mayaguana, New Providence (where the capital, Nassau, is located), Ragged Island, Rum Cay, San Salvador and Spanish Wells. The highest point in The Bahamas is 206-ft. Mount Alvernia on Cat Island. Once known as Como Hill, Mount Alvernia overlooks The Bight. The original inhabitants of The Bahamas were Arawak Indians, who had migrated through the Antilles from South America. Within a few decades after Columbus landed on San Salvador in 1492, the Spanish had depopulated the islands by shipping the peaceful Arawaks to slavery in the mines of Hispaniola and Cuba, where they died by the thousands. The first permanent settlement in The Bahamas was established by a group of English settlers from Bermuda called the Company of Eleutheran Adventurers, who organised a community on what is now the island of Eleuthera in 1647, seeking religious freedom. During the late 17th and early 18th centuries, piracy flourished in the islands because of their proximity to important shipping lanes. The power of the buccaneers was crushed by Woodes Rogers, the first Royal Governor, who established orderly conduct in 1718. In 1776, a U.S. naval squadron captured Nassau, but withdrew after only one day. Following the American War of Independence, some 6,000 American loyalists and their slaves settled in The Bahamas. The American Civil War brought prosperity to The Bahamas, which served as a transfer point for munitions and medical supplies to be run through the northern blockade of Confederate ports. Cotton from the south was the main commodity of exchange. During the prohibition era in the United States, from 1917 to 1933, The Bahamas again prospered because of its proximity to the mainland. This time the islands supplied liquor for American rumrunners. Taking advantage of the colony’s ideal weather conditions, the Royal Air Force used The Bahamas as a flight training area during World War II. The islands were also used by British and American units hunting German submarines. Under Prime Minister Lynden Pindling (who died August 26, 2000), The Bahamas was governed by the Progressive Liberal Party for more than a quarter of a century, having won successive general elections in 1967, 1968, 1972, 1977, 1982 and 1987. The Free National Movement ousted the PLP from office in the general election of 1992 under the leadership of Prime Minister Hubert A. Ingraham, and won the poll in 1997. May, 2002: The Right Hon. Perry G. Christie, Prime Minister and Leader of the Progressive Liberal Party. May, 2012: The Right Hon. Perry G. Christie, Prime Minister and Leader of the Progressive Liberal Party. In 1830, A.J. Lees, acting as Lord Rolle’s agent, attempted to transfer 77 of Rolle’s enslaved Africans from Exuma to Cat Island. Led by a 32 year old enslaved African named Pompey, a number of the enslaved Africans hid in the bush for several weeks and then stole a boat and sailed to Nassau to petition the British Governor. When Governor Smyth finally heard their case, he found that Lees had lied to obtain the transfer permit and ordered that the enslaved Africans be allowed to remain in Exuma. Historic Vendue House, or the Bourse as it was known, was built some time before 1769 and continued to function as a marketplace until the late 1800s. Enslaved Africans and other commodities were sold at Vendue House during the 18th and 19th centuries. 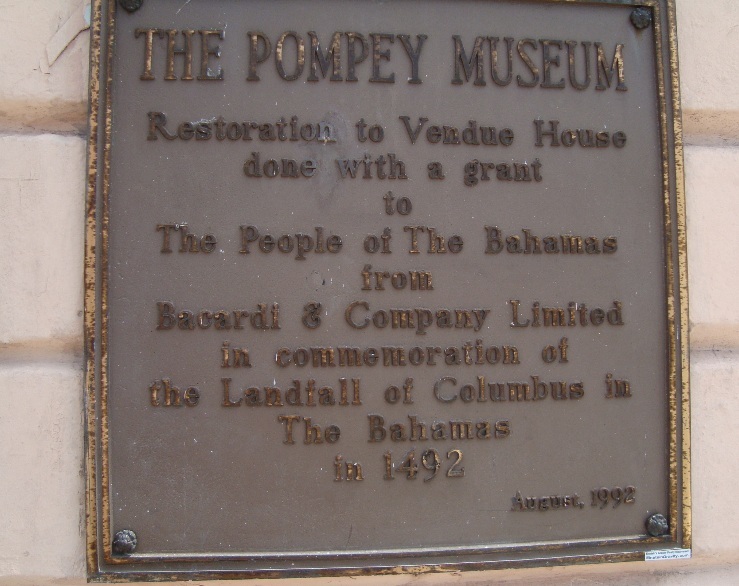 Pompey became a museum in 1992. 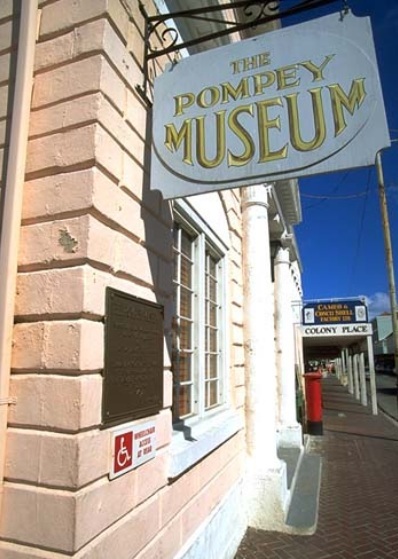 The Pompey Museum, in Nassau, the Bahamas, re-opened in 2013 following a $1.7 million renovation launched after an intense December 2011 fire destroyed the building. Ninety percent of the historic downtown Nassau museum’s artifacts were saved from the fire, which also destroyed sections of Bay Street. Exhibits include rare books on slavery, slave shackles, cloth dolls, coins and West African trading beads. Excellent piece. Very informative. Such a beautiful place. Like so many others. Sad that so much of their history is marred by slavery. Sad that one man would ever wish to own another to begin with. The evil in this world is deep and the roots complex.